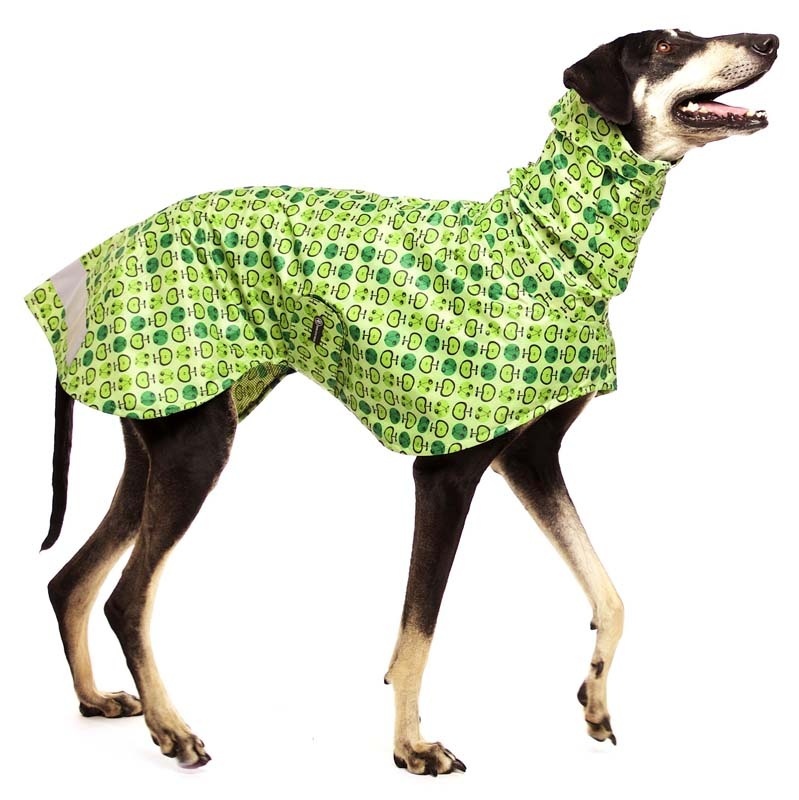 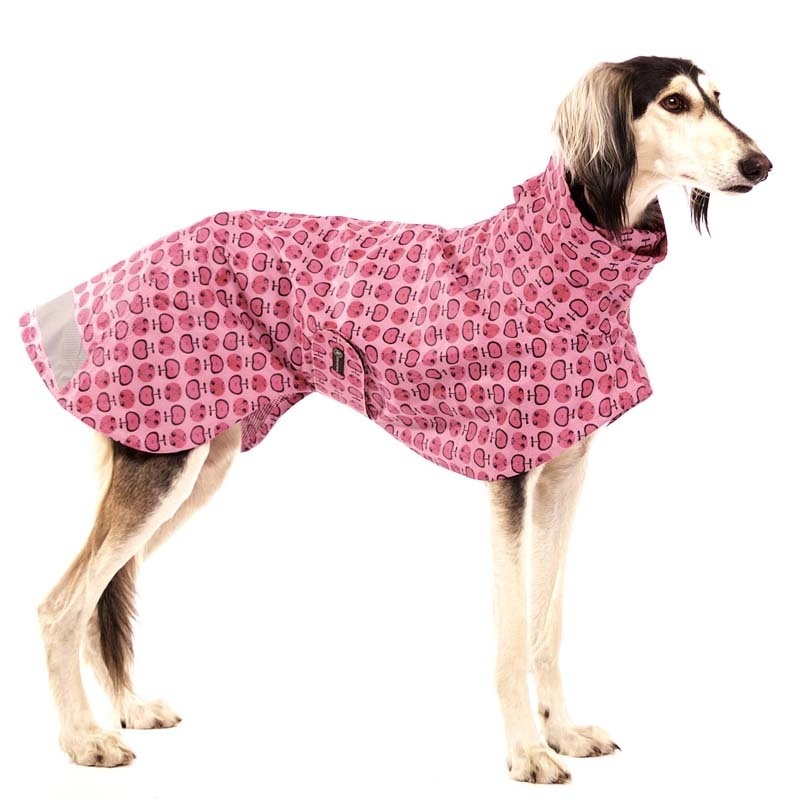 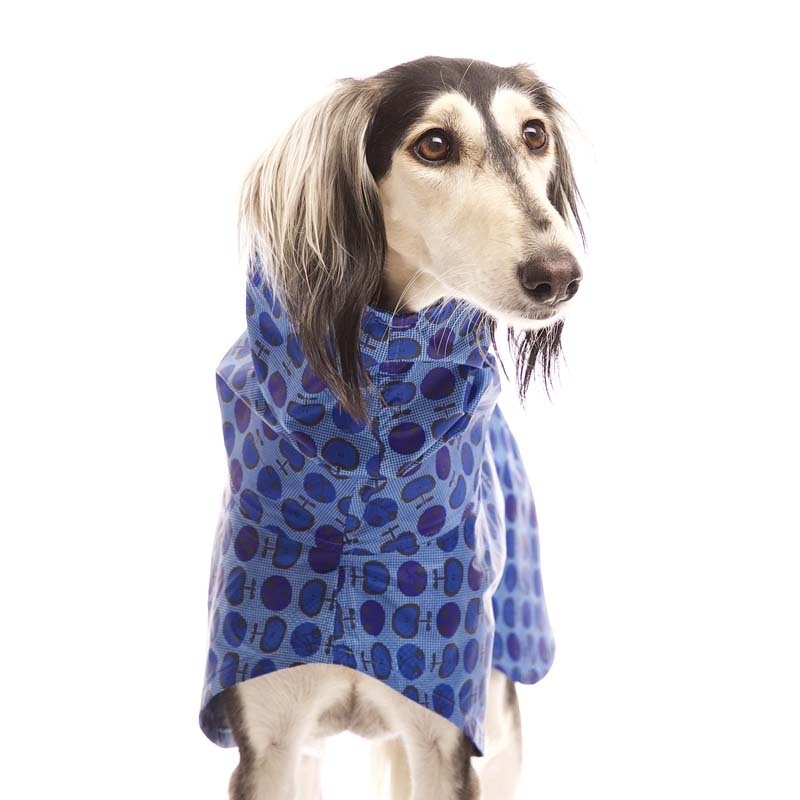 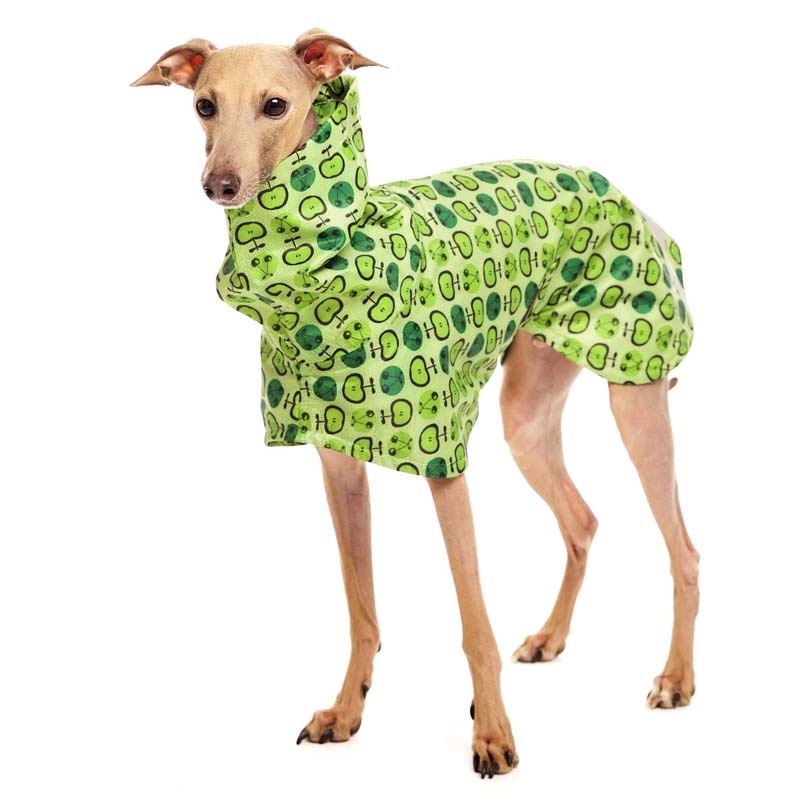 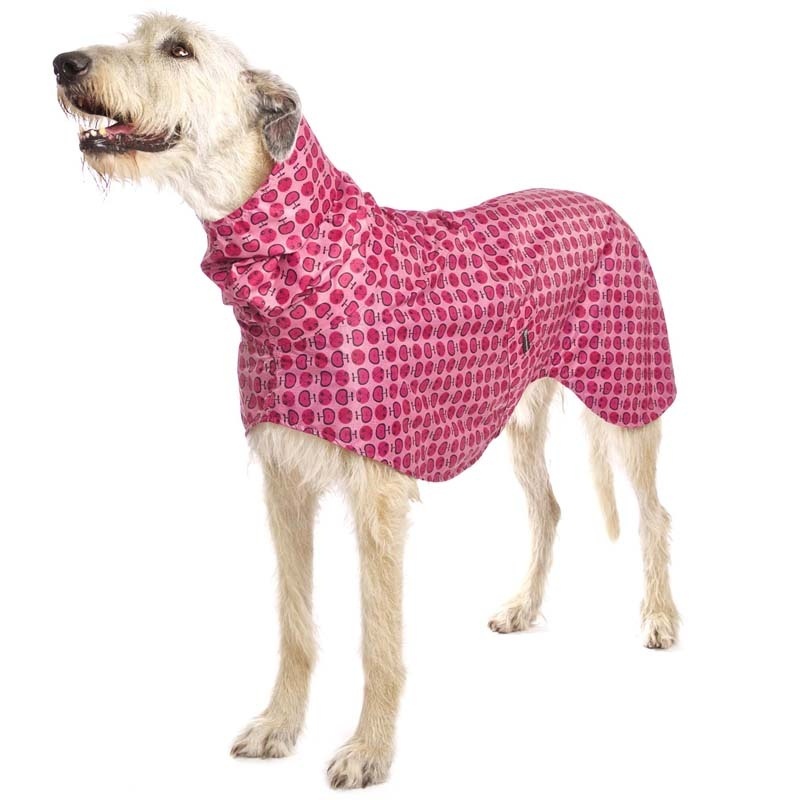 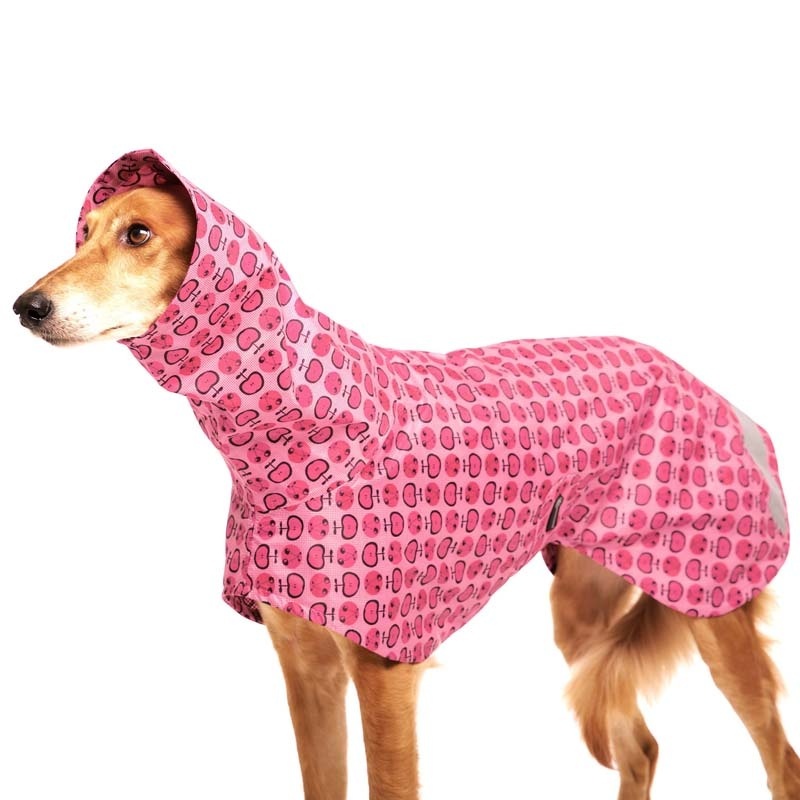 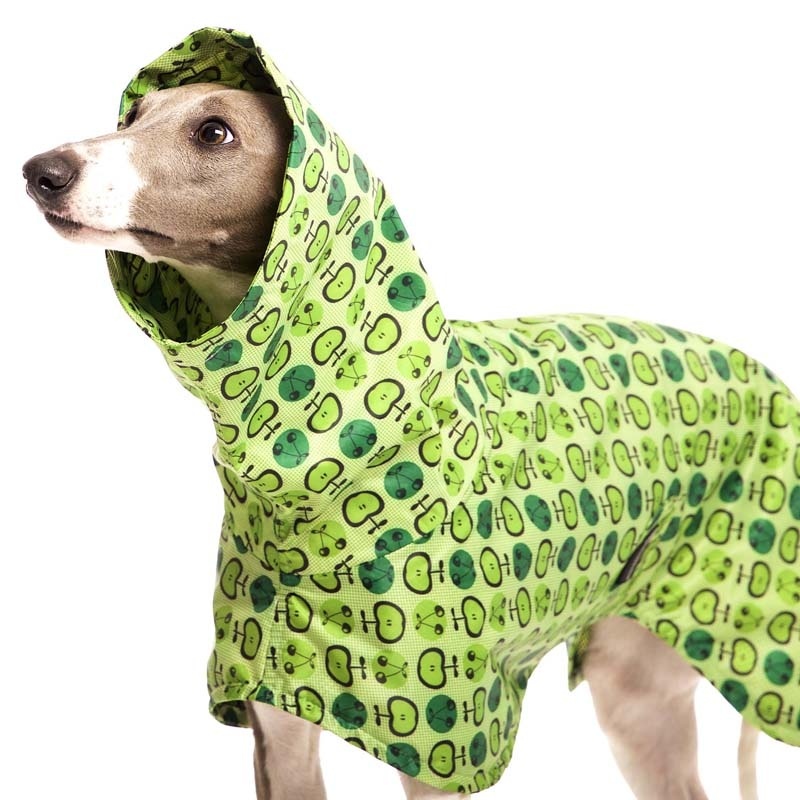 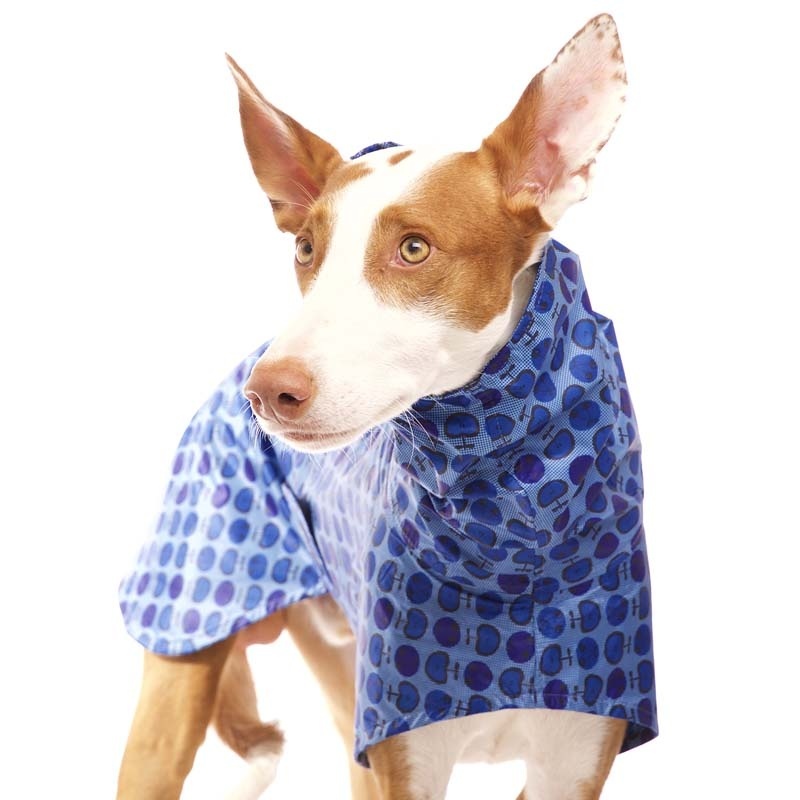 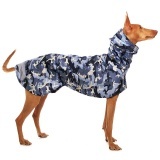 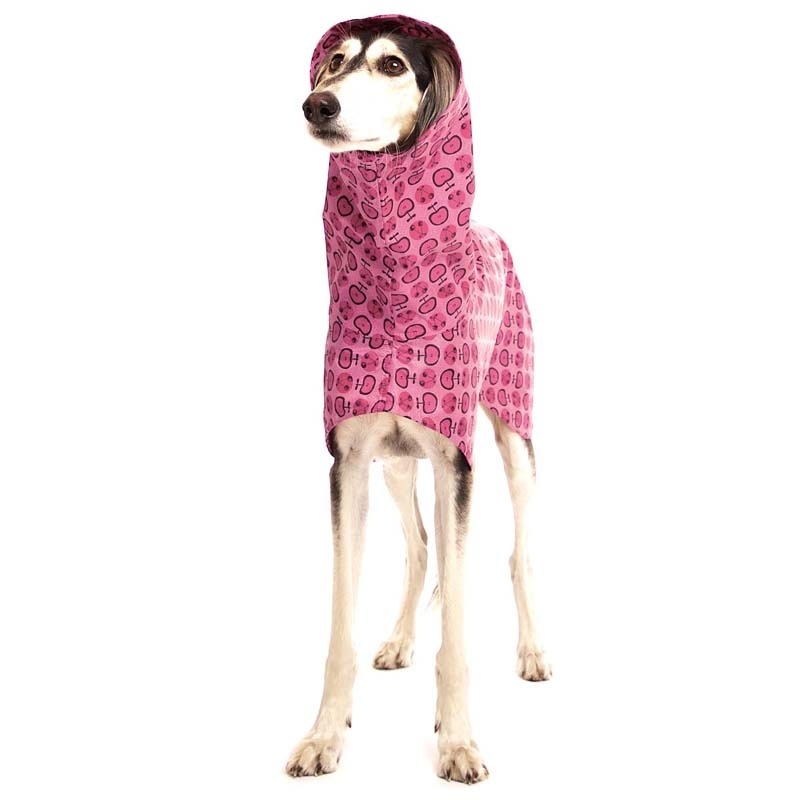 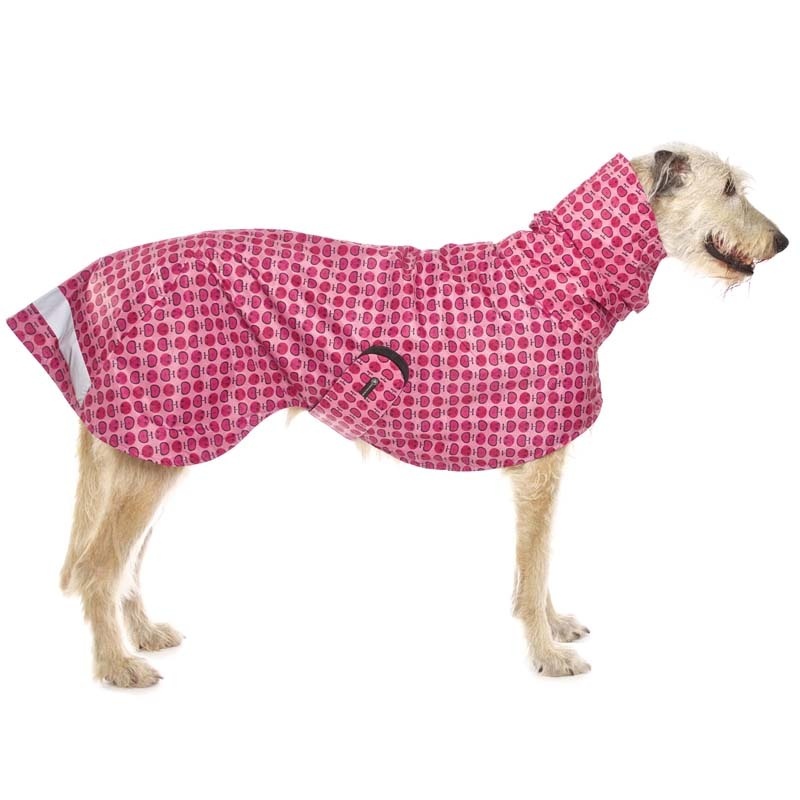 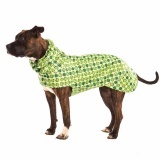 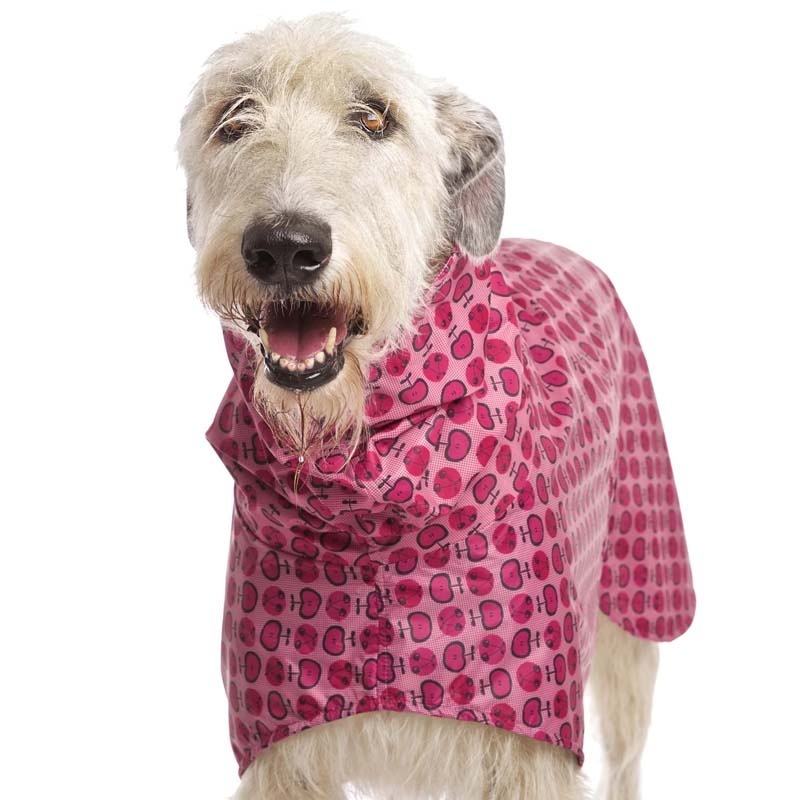 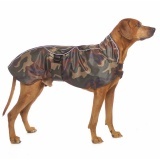 Light raincoat for sighthounds. 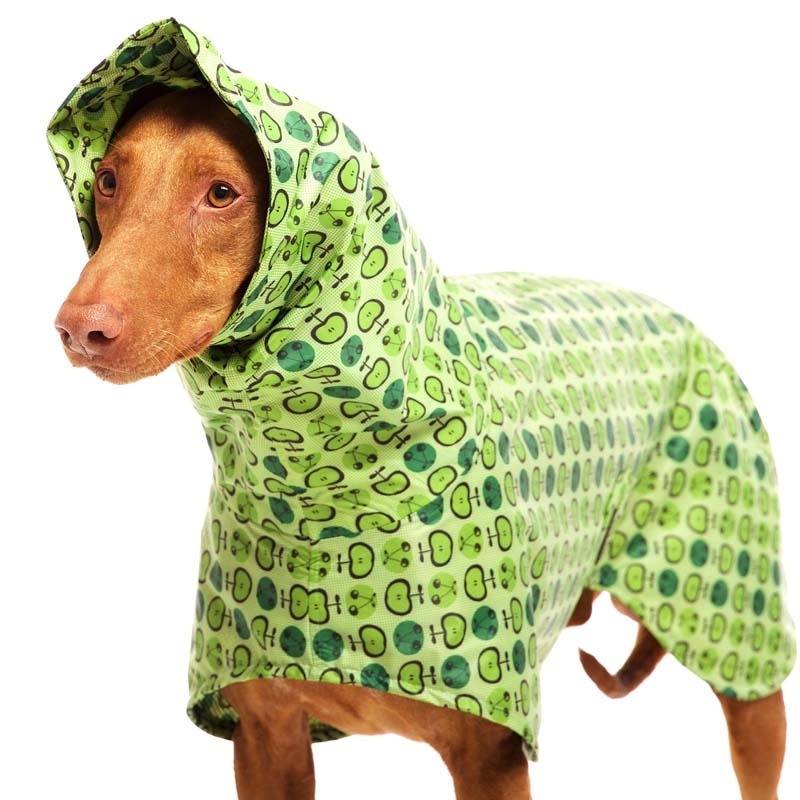 Usefull in rainy days. 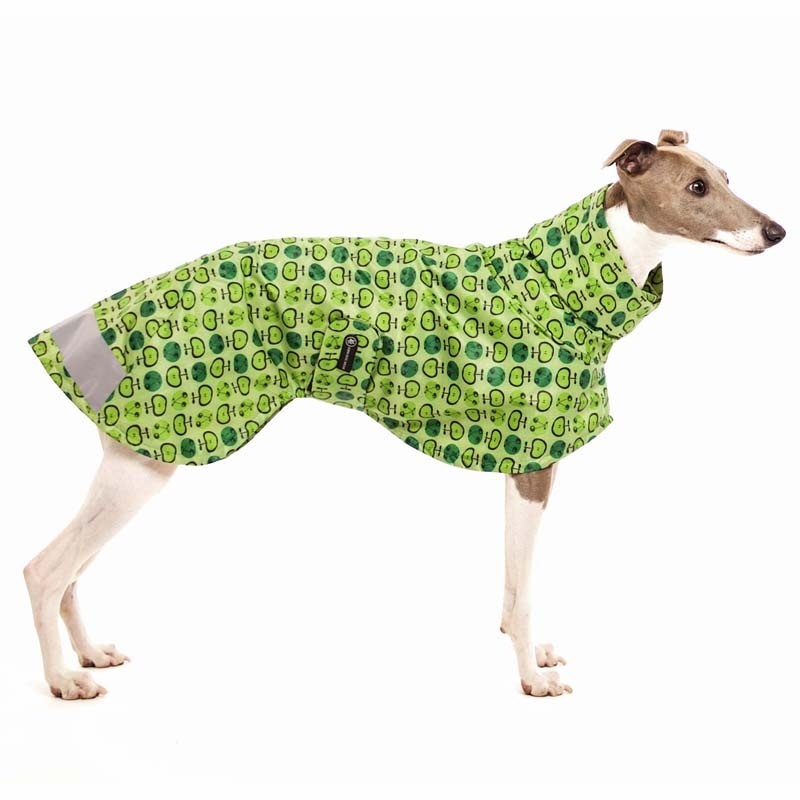 Apple pattern in 3 colors. 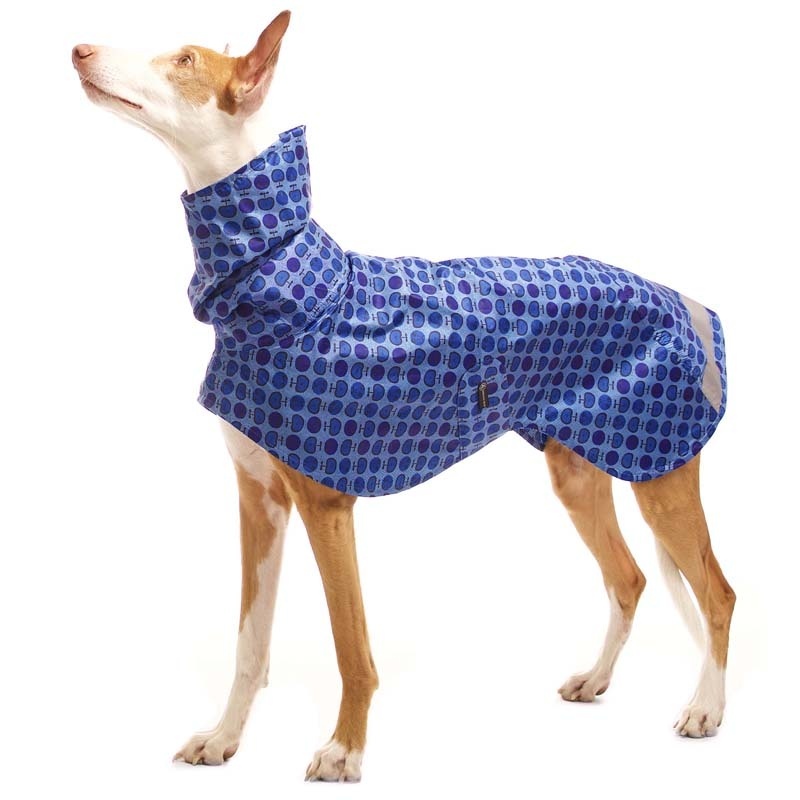 Originally formed simple shape, long hood with holes for lead. 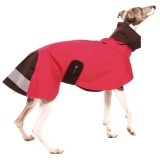 Velcro closure under the belly, a reflective stripe on back part. 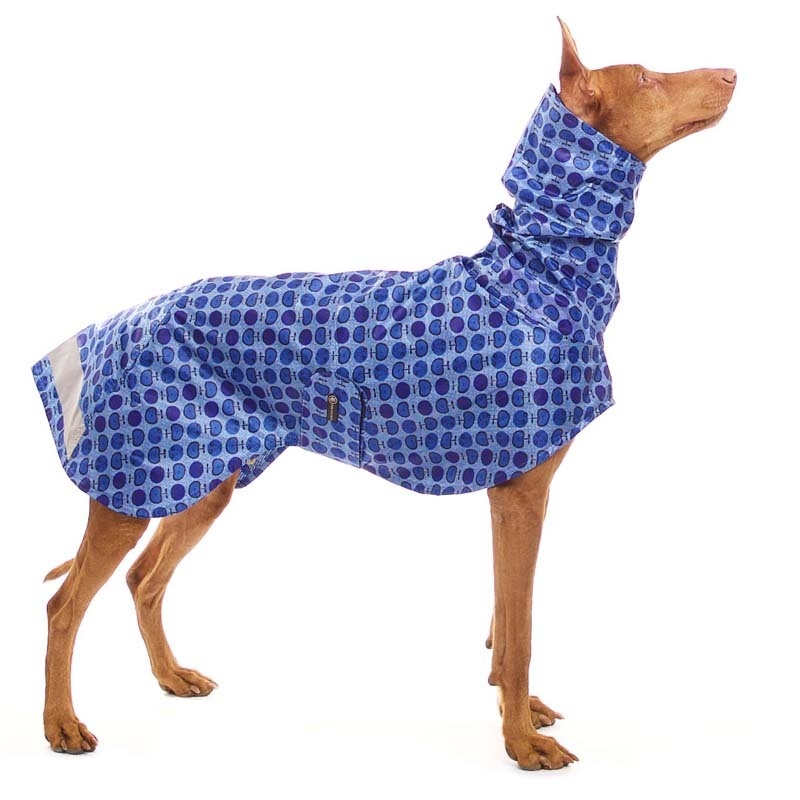 Light material with waterproofe PUR layer, lined with mesh-work. 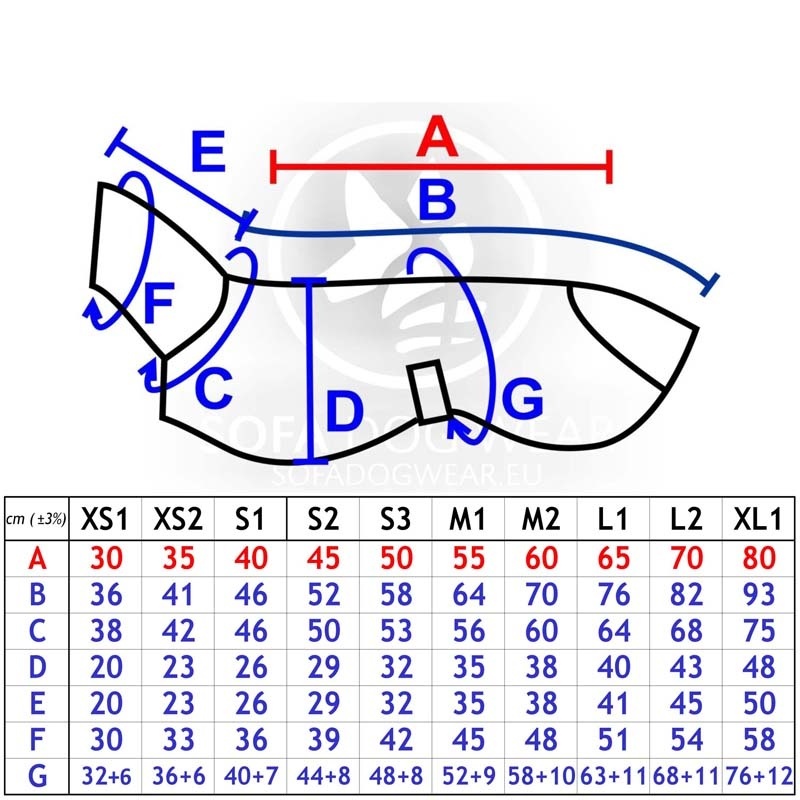 Taped seams.